CBD has burst onto the medical scene in a very real way. For centuries, medical marijuana has proven its ability to relieve the symptoms of serious illnesses and conditions. Also used in religious ceremonies, medical marijuana is not a new development but an ancient tradition. Today’s CBD looks a little different, with sexier packaging and a modern formula that makes it work better and faster within the body than ever. Find the top CBD products on the market and learn why this historic solution to just about every ailment is still reigning. Cannabis products have expanded from just herb into nearly every market. What was once just something to smoke is now infused in everything from food to sunscreen. What makes a CBD cannabis product different from a THC cannabis product is – technically – very slight but actually makes a world of a difference. THC cannabis has psychoactive qualities that induce a “high” while CBD does not bind to the body’s cannabinoid receptors which are responsible for inducing a euphoric “high” sensation. This means that, when using CBD products, you can get benefits that you want without an unsettling “high” feeling you don’t. Cannabis has been used to treat everything from menstrual cramps, chronic pain, migraines, anxiety, nausea – even post-traumatic stress disorder has shown to benefit from the use of cannabis products. Plenty of cannabis strains have been shown to reduce symptoms of serious conditions or illnesses. What a CBD strain does that a THC strain does not actually suppress that all-too-familiar “paranoid” high that keeps some from getting relief from marijuana. See, how CBD works in the body is that it interacts with the cannabinoid system, which helps the cells in the body communicate with one another and send signals to the rest of the body. CBD interacts with the parts of the cannabinoid system that control pain and discomfort in the body, relieving those unbearable symptoms, if only temporarily. The best CBD products for you depend largely on what your intended use for CBD is. 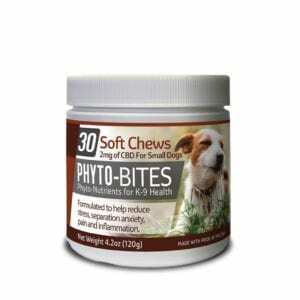 The beauty of CBD is that you can target a certain location specifically with the products you purchase. CBD – much like THC – has expanded from just an herbal product to edible products, then on to vaporizer products and even further. Today, you can find CBD in just about anything. 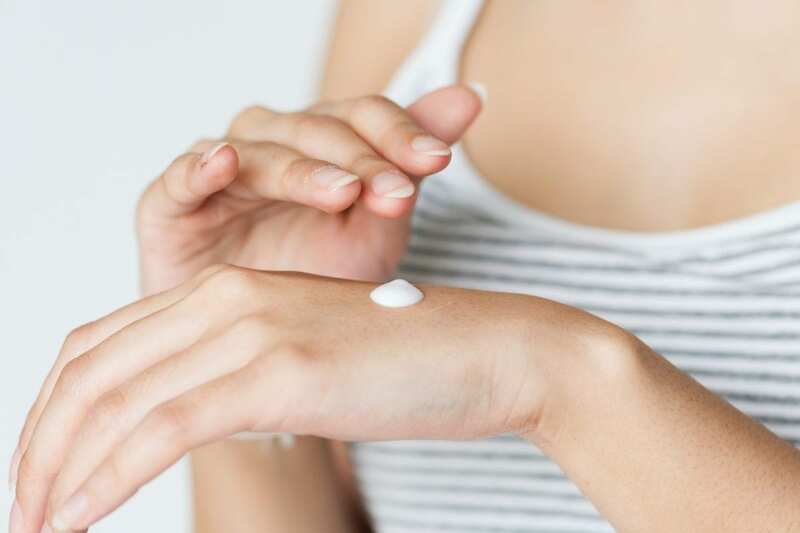 From bath bombs to sunscreen, CBD has found its way into many consumer products. How can you tell which products will actually make you feel better and which are just mainly a front? To make sure the CBD product you buy is right for you, first, decide what pain and/or discomfort you are using CBD for. Once you do that, it is easier to find a satisfying product for you. Try a CBD vaporizer cartridge. Cannabis vaporizing has become increasingly popular due to its convenience and subtlety. Vaporizing cannabis herb or oil allows the user to indulge without additional products. In addition to the convenience, vaporizing cannabis does not omit the same odor as typical smoking because of the absence of smoke. Vaporizers are ideal for a total-body high that encourages relaxation and reduces anxiety. Try a CBD cream or oil that can be applied directly to the muscle or joint that you want to feel relief. The pain relieving properties in the rub will be absorbed through the skin exactly where you want it to be absorbed and not waste any time moving through the rest of the body. Feel relief almost instantly and target your muscle or joint discomfort in the most direct way with a CBD muscle salve stick. Try CBD lozenges. A CBD lozenge is, ultimately, the same as a regular lozenge but infused with CBD extracts that further reduces any pain you are experiencing. Inhaling a product, even if it is inhaling a vapor, exasperate a throat problem. A CBD lozenge will deliver the most immediate and soothing relief to a sore, itchy or uncomfortable throat. CBD water is the best new product on the market. Everyone knows how important hydration is both before and after a workout. Exercise uses much of the body’s liquids and can induce dehydration if not properly replenished. Why not include some CBD in your normal hydration routine to stay ahead of post-workout muscle soreness? CBD water is one of the newest and most innovative CBD products on the market, delivering a low but impactful dose of CBD to your hydration habits. Try CBD supplements or vitamins. Add a little CBD to your typical supplements to stay ahead of sore muscles and anxiety while still getting your daily vitamin and mineral intake. CBD supplements are also a great solution for when you can’t quite pinpoint the pain or when the pain isn’t accessible through the skin, such as muscle pain. Try CBD for a headache, to settle nausea or to stay ahead of regular anxiety without taking potentially dangerous or addictive prescription drugs. Try CBD energy drink shots. Many people’s hesitation with using cannabis products is their fear of being drowsy from the product. While CBD typically does not have that effect on users, taking CBD as an energy drink will ensure you are never sleepy as a result. CBD energy shots are a new craze that promises CBD benefits without a drowsy effect. Every Singleseed product is made with the consumer in mind and made to fit into active, healthy lifestyles with ease. Singleseed is the only CBD company committed to delivering high-quality, beneficial cannabis products, without the psychoactive effects. 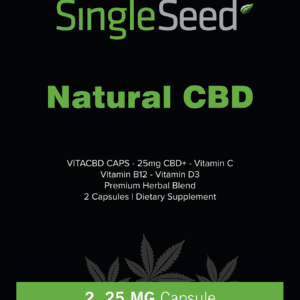 For your one-stop-spot for the top CBD products on the market today, Singleseed delivers across the board. Check out all of their amazing products and see for yourself how easy it is to adopt the CBD lifestyle!